This stunning pine cribbage board is 15 inches in diameter and over an inch thick. It has a pocket on the back with a sliding brass plate to store the eight metal pegs provided. It is designed to hang on the wall when not in use and comes with a hanging hole pre-drilled at the top of the back of the board. 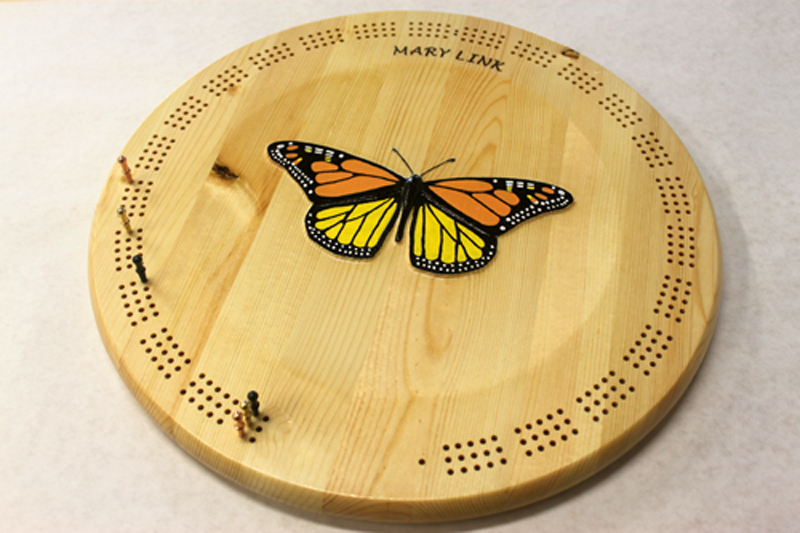 The board face features a large 3d-carved and delicately hand-painted monarch butterly. 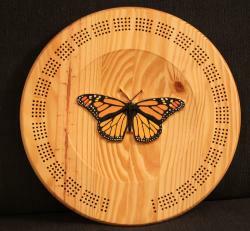 The butterfly sits is a shallow bowl, cut into the surface. 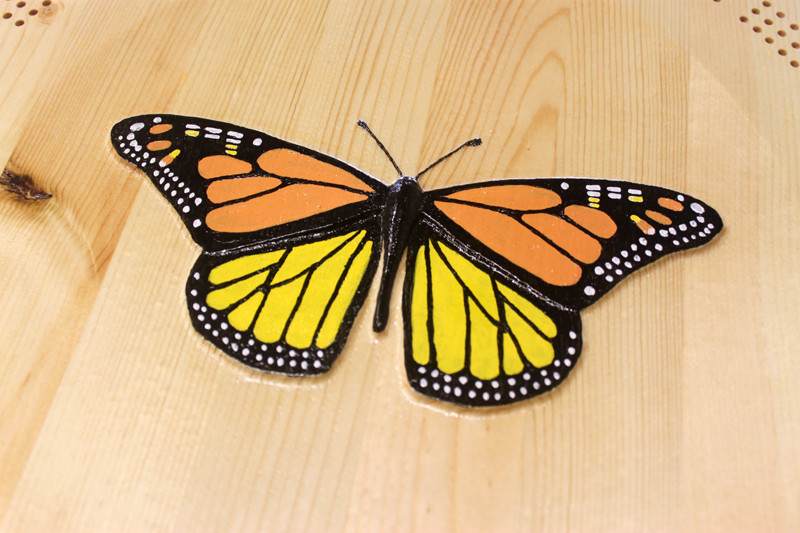 The price also includes a short engraved name or phrase, either above or below the image. The board is brushed with shellac to protect the finish.